Our specialty at Effective Leadership 360 is in developing successful management and selling teams. We develop strong leadership through employee training and in-depth business coaching. Bob is a dynamic and motivational trainer. His style is confident but humble with the ability to connect with his audience with real life experience and stories that are relevant to the challenges and opportunities for successful business and life goals. His passion is helping people grow and develop in business - and in life. Bob Tietjen is the founder and President of Effective Leadership, Inc. Effective Leadership is a strategic partner with 360 Solutions leveraging the depth and experience of 500 strategic partners worldwide. He has extensive business experience as a business owner having built and sold two multi-million dollar sales organizations in his career. Prior to opening Effective Leadership, Inc, Bob has an impressive background not only as an entrepreneur and business owner but also as a highly experienced sales and business leader with substantial skills developing successful management and selling teams for leading professional sales companies including The Home Depot, Owens Corning and Sears. His expertise is in creating and implementing sales presentations and sales training programs with proven ability in increasing sales performance. His proficiencies include recruiting, hiring, team building, training and development, mentoring, marketing, sales retention, human resources, customer satisfaction, executive coaching and business start-up’s. 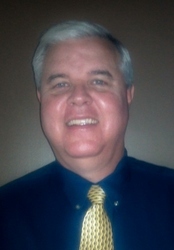 Bob is a proven professional with numerous business and sales awards and recognitions. Have you worked with Bob? Tell your friends! Bob doesn't have any reviews yet. Bob hasn't submitted any articles.